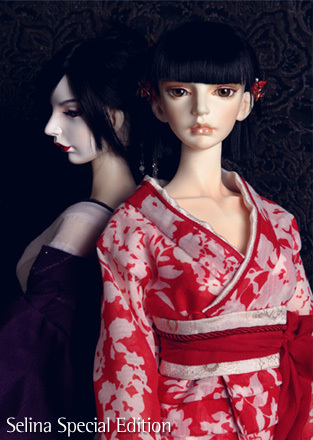 UniDoll has created a girl version of their Cupi tiny doll. The 30 cm. doll is dressed in a Korean costume. The doll comes with random eyes and wig, and the outfit without the shoes. The Face-up can be ordered for an additional fee. A second image of the new UniReal male doll has been added to the UniDoll website. The company plans to launch him soon.